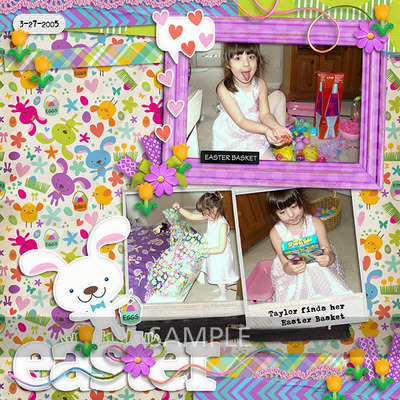 Easter is full of so many precious moments and we don't want our cameras to miss shots like meeting an Easter bunny, hunting for eggs, or the happy look on our kids faces when they see their Easter basket. 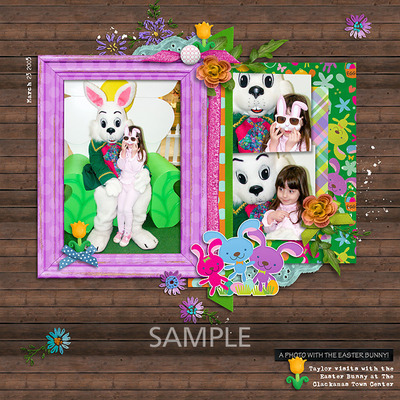 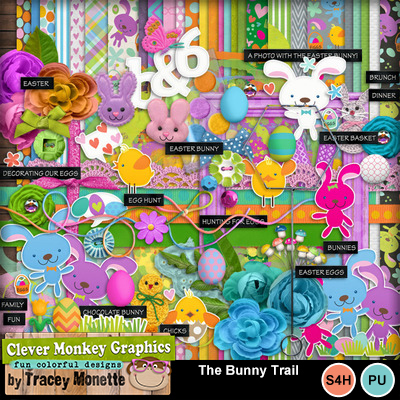 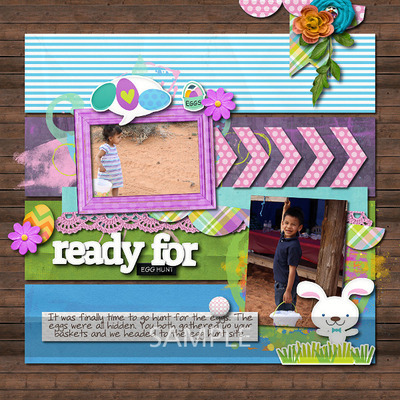 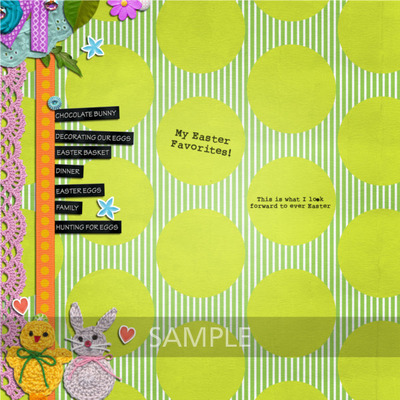 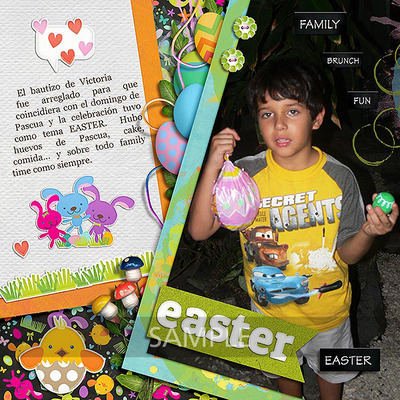 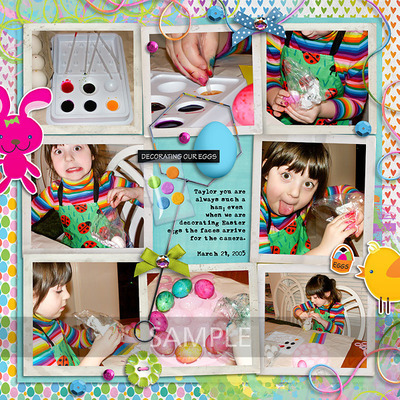 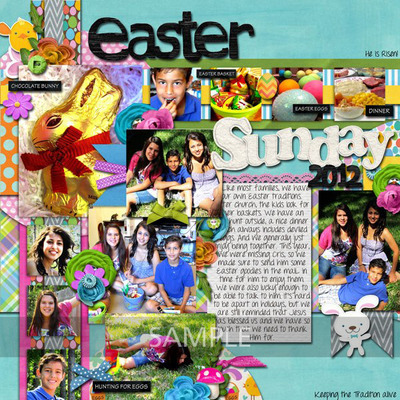 The Bunny Trail is created to help you show off all these fun stories in your scrapbook pages - or even to use in hybrid projects. 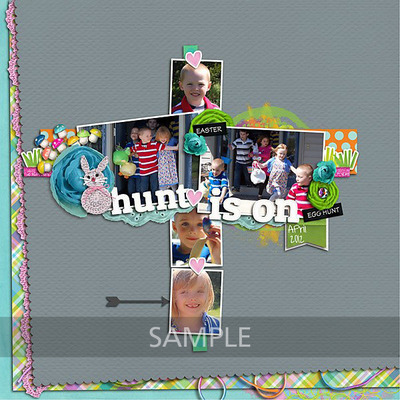 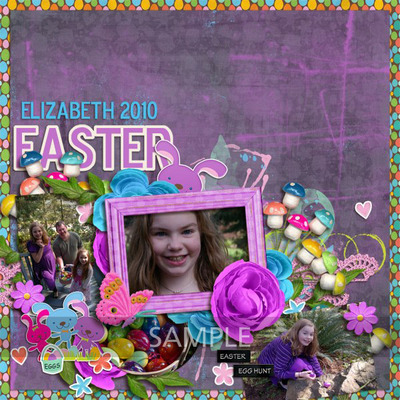 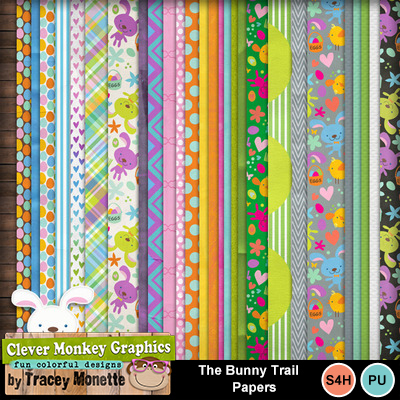 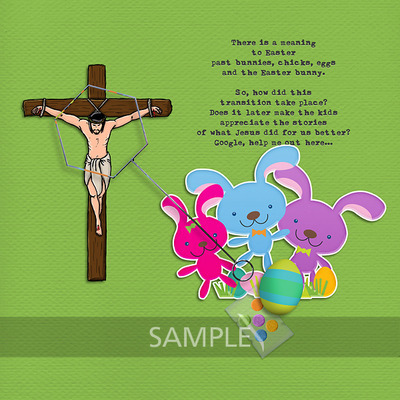 This kit has a whole set of graphic stickers of my own design with 4 different bunnies and 3 different chicks!